MERCH STORE WILL OPEN SOON ! NEW SONG- Winter Drag- available now on all digital platforms. 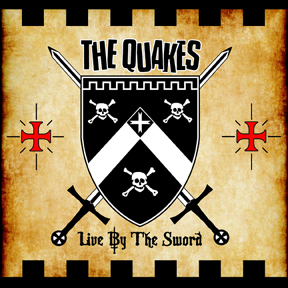 A new documentary about the early days of The Quakes. A "new" song. Psycho fest was a demo recorded in 2000.Read the the description in the video. 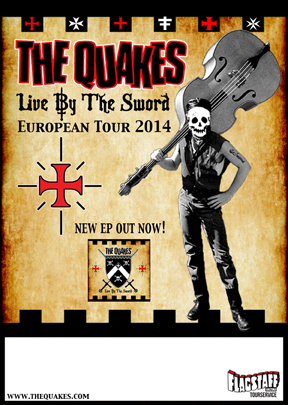 album and its available now. This album is great! I really believe in this album. Survivaland You are my weakness. I have a feeling that if you like The Quakes that you are going to like this also. bass formerly of the Rezurex and Manny Lutz on drums. 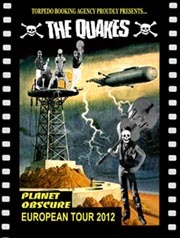 >> Magazine article- The Quakes are featured in the new Psychomania magazine. It comes with two cds with 50 tracks. The interview is in German and English. Get it here. and an un released song. All new art work. 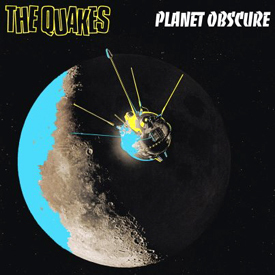 The new album from The Quakes is called PLANET OBSCURE. The cd has 12 songs plus a bonus that is only on the cd. Its a digipak with a12 page booklet with lyrics and liner notes. Here is a new song Die too young from the new album PLANET OBSCURE. 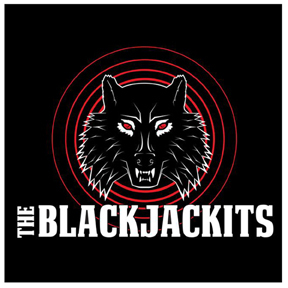 This is a re write of an old song that I wrote and recorded in London in 1988 just after the death of Dave the ace Hoy.I put this video together as a tribute to him and the very early days of the Quakes and even before the Quakes. There is a full description on the video. that one. Its a real place! :-) check it out! >> Our cover version of Duran Durans "planet earth" is out now. Its also on red vinyl on Ebay. Go here for old items-interviews and tour pictures. If you have questions or comments- please Email us! THIS SITE ©2001-2014 THE QUAKES-USE OF MATERIALS AND/OR PICTURES IS PROHIBITED WITHOUT PERMISSION.